Amanda Devlin is an Authorised Financial Adviser who focuses on Personal Life Insurance. 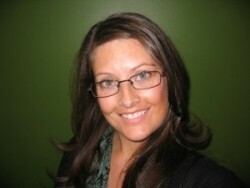 Amanda has had 15 years in the Corporate and Retail industries. In Mid 2007, Amanda started her career in the Financial industry by supplying the administration and paraplanning to a Financial Services Firm. Amanda has completed a Diploma of Financial Services and now focuses on providing personalized advice on Risk Insurance. In 2009, Amanda became an Insurance Adviser and has formed her own company, Agent For Life Pty Ltd.
Amanda believes in educating her clients on the insurances available to protect themselves, their family and their business in the event of an unexpected illness or injury. Clients find it very easy to get their insurances sorted by Amanda with her friendly approach and find her to be very professional in ensuring their insurance needs are met. Amanda married Chris in 2014 and was previously known as Amanda Van Den Broek. Amanda grew up in northern NSW where there is a Van Den Broek road named after her family and now considers the Gold Coast her home. Always up for a challenging game of scrabble, Amanda can also be found on the beach playing volleyball or enjoying a walk in the mountains.